Architect/s: Fullerton Diaz Architects, Inc.
55 Merrick is a seven-story condo building, that blends postmodern and Mediterranean styles. It features luxury residences with amenities such as concierge, valet, clubhouse, fitness center, and a deck and pool with incredible views of the city and surrounding neighborhoods. 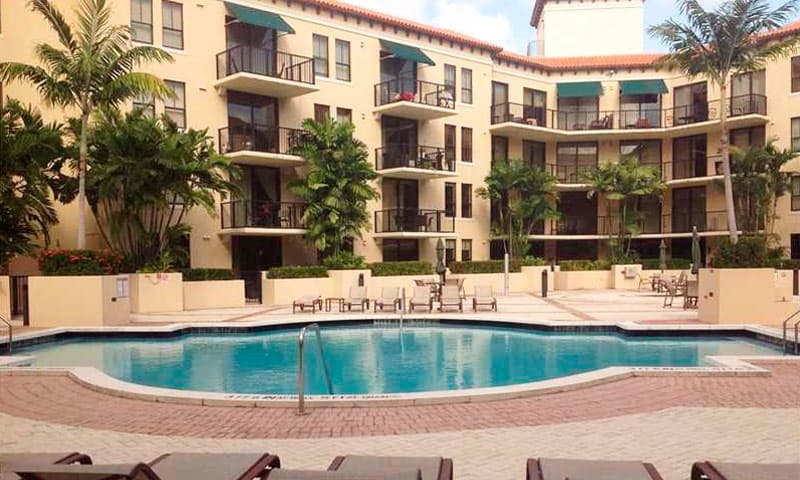 Each residence is complete with thoughtfully designed interiors, imported Italian tile flooring throughout, and more. 55 Merrick’s residents find convenient shopping and dining within a few blocks. A 15-minute drive takes you to the Miami International Airport, Coconut Grove, Brickell, Downtown Miami, the Port of Miami, and easy access to Key Biscayne and South Beach. 55 Merrick is the incomparable location to enjoy the classical beauty of Coral Gables.